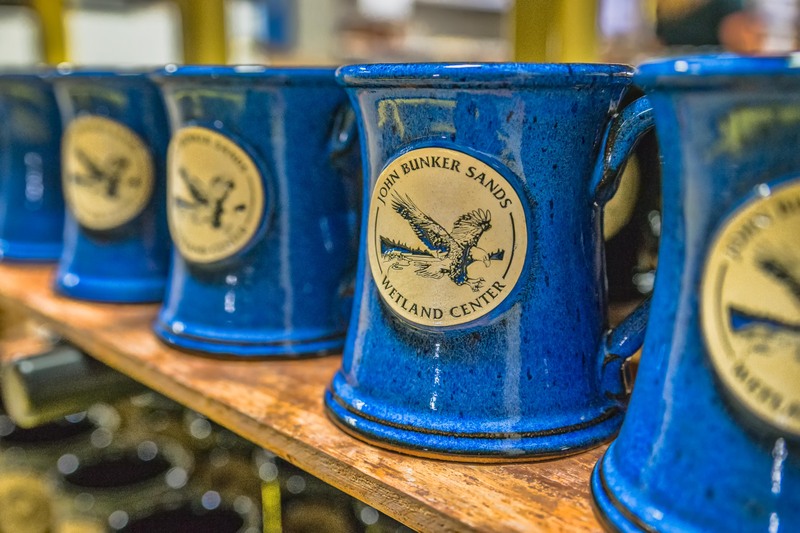 Each Sunset Hill Stoneware mug style has a different drinking experience and aesthetic to its overall shape that is designed to be appealing to the person drinking from it. From our 16-oz. behemoths to our tiniest 10-oz. 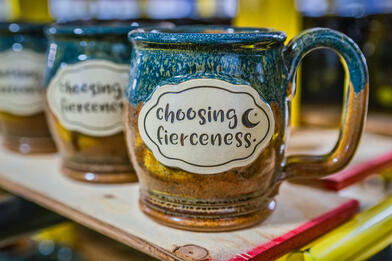 tasters, every mug style feels different and imparts a unique journey for you and your beverage of choice. This blog is dedicated to those who have sat down with their unique coffee mugs and wondered, "Why are my mugs shaped that way?" Within this webpage, we have assembled a guide so you could have some idea of the ergonomic and aesthetic factors that went into creating your mugs. If you're looking for a manly mug, the Straight Shot certainly fits the bill. 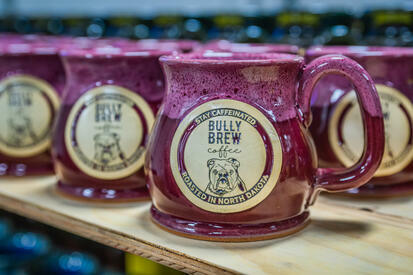 Weighing in at a gargantuan 16 oz., this mug was designed for heavy-duty drinking from a silhouette that exudes authority. Our tallest style, this big coffee mug will fuel you through everything the day may throw at you. The Straight Shot is also an artist's dream come true. 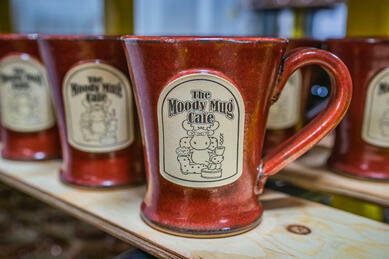 Being one of our largest mugs, it offers vast real estate for images with even the most detailed artwork or logos. It's suited to long or vertical medallions, so if you're looking to get a portrait-style image on a mug, this is the stoneware for you. An elevated classic, the Executive Slim mug features the same straight lines and quality of the Straight Shot in a less imposing size. The perfect gift for just about anyone in the C-suite, middle management or otherwise, it offers a broad space for logos of any shape. The Executive Slim makes a statement with every sip, whether you're bringing it to work on a sales call or just to the kitchen table on a lazy Saturday morning. Use it wisely. Even tinier than the Executive Slim is Tom's Mug, aptly named for when our boss likes to throw back five espresso shots in one go on a typical Tuesday morning. 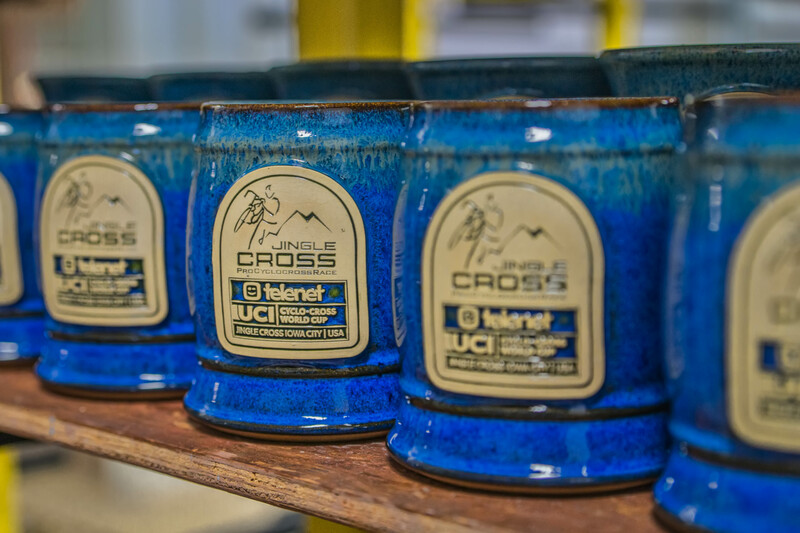 Small though it may be at 12 oz., Tom's Mug packs a powerful punch in a tiny package and flaunts detail on its medallions alongside even its biggest counterparts. The Potbelly mug and others like it with a round lower half are designed to fit to the shape of your palms as you drink your first sips of coffee in the morning. Imparting a subtle sense of comfort, it's perfect for sipping at your own pace on a cool day. One of our most ubiquitous mug styles, the Potbelly has an unmistakable silhouette that will kick off just about any conversation with compliments and questions, whether it's at home, in the great outdoors or at the office. 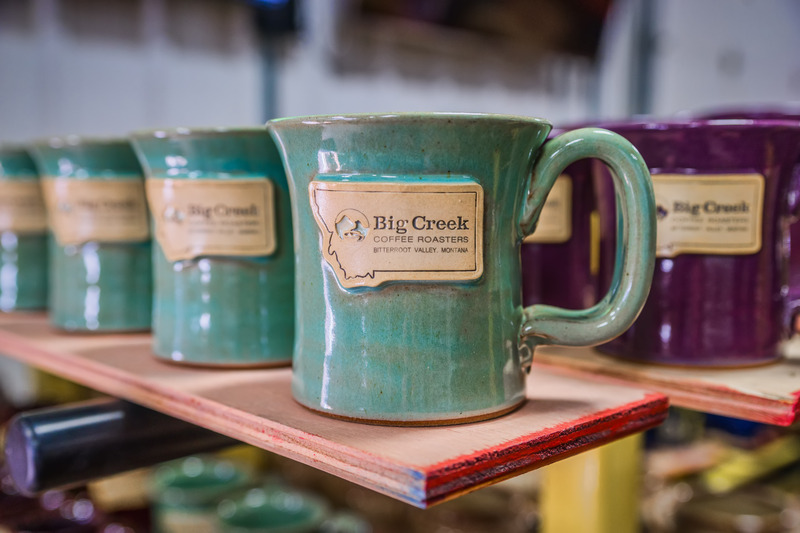 We even stock the Potbelly in multiple glazes and style options in our online store and offer it as one of our 12 pack mug options, perfect for group retreats or family reunions. The Potbelly's bigger brother, the Wide Mouth is designed to provide the same comforting experience in a sturdy design. Holding four more ounces than its smaller counterpart, the Wide Mouth packs an extra punch for the days where you need a little more caffeine in your life. 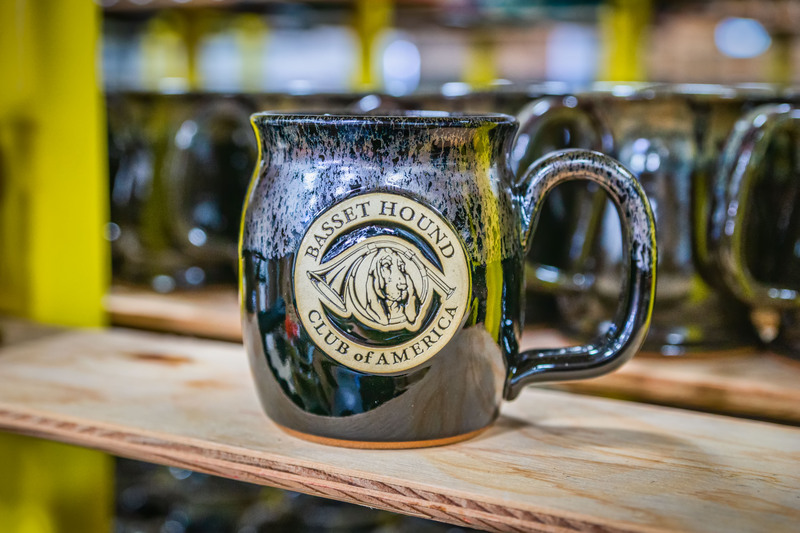 Combining a large, supportive shape with artistic curves, the Wide Mouth is used in everything from coffee shops to brewery mug clubs. 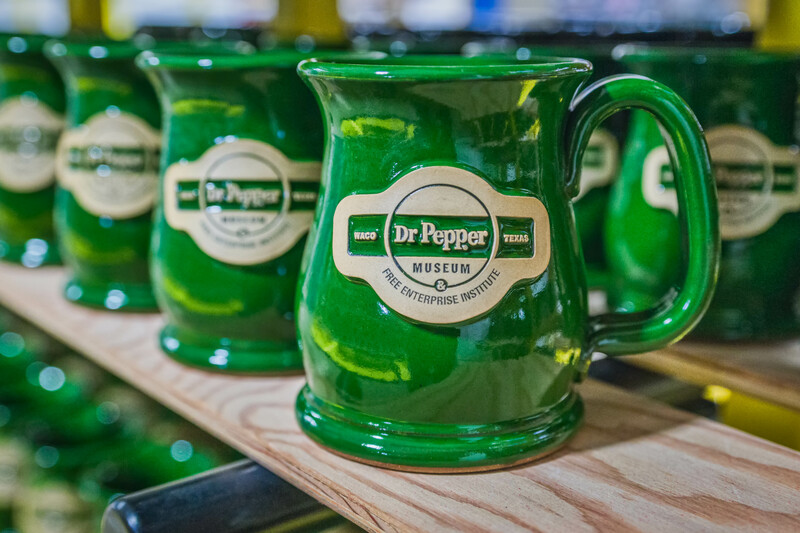 It's truly one of our most versatile mug styles we have on tap. The Wide Mouth, Potbelly and their smaller cousins the Average Jo and Mid-Day Memories are designed to be comforting, curvy and classic whether you need just a 10-oz. pick-me-up or enough java to power you through eight hours of driving in a 16-oz. mug. Big and curvy, the Java Taster is a titan among mugs. With its broad design and ability to hold 16 oz. of coffee, tea or anything in between, this mug by far has the most space for your artwork or business logo. Even more, it holds enough coffee to make sure you won't blink for a week. The portly shape of the Java Taster not only gives it the same comforting hand-feel as the Potbelly and the Wide Mouth, but it practically exudes authority. The gentle sloping lip leading into the rest of the mug's convex curves makes it a statement piece perfect for any fundraiser, event or branding opportunity. The Java Taster is available in more than 60 glaze colors and combinations. It is truly the best blank slate we have to offer. Featuring a gentle, sloping curve, the Happy Soul is designed to be soothing to hold as you warm your hands on the sides of this mug. Feel the calming energy of this mug's rounded shape as you take your first few sips in the morning and the body of the mug fits snugly against the palm of your hand. Measuring in at 14 oz., the Happy Soul is the spiritual successor to the slightly larger Java Taster. 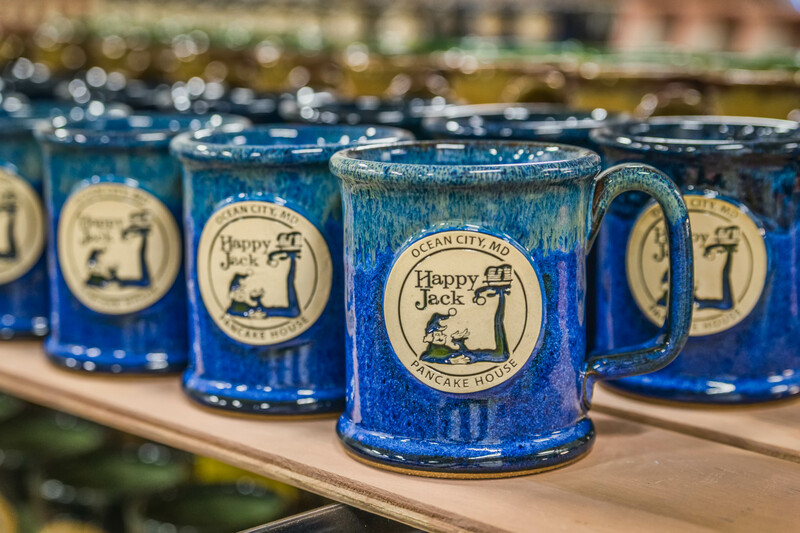 However, the tiered base of the Happy Soul adds an extra bit of artful flair, so this mug can easily stand on its own as the perfect vehicle for even the most intricate of artwork. A pint-sized version of some of our much larger steins, the Sunset Barrel is a rotund little design that weighs in at 14 oz. With its stout body, it's perfect for everything from sampling craft beer to drinking a cup of fresh, warm brew on a lakeside pier at sunset. 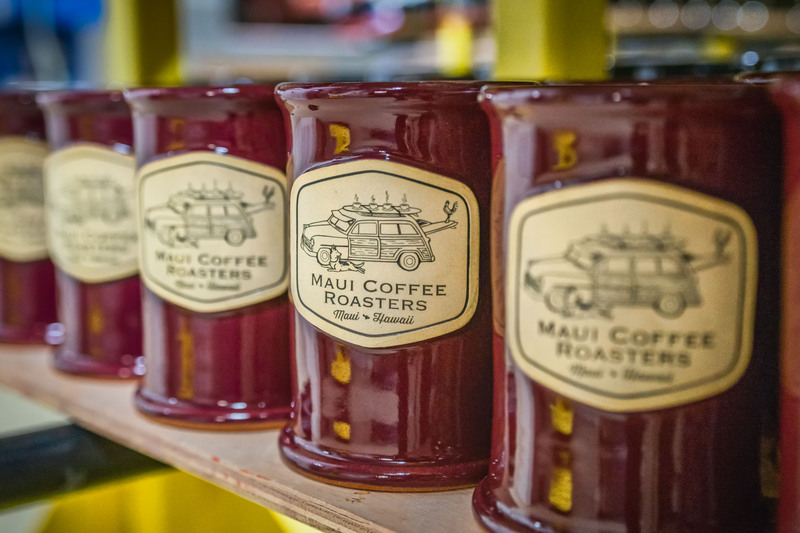 One of our most unique mug designs, the Sunset Barrel is in a league of its own. 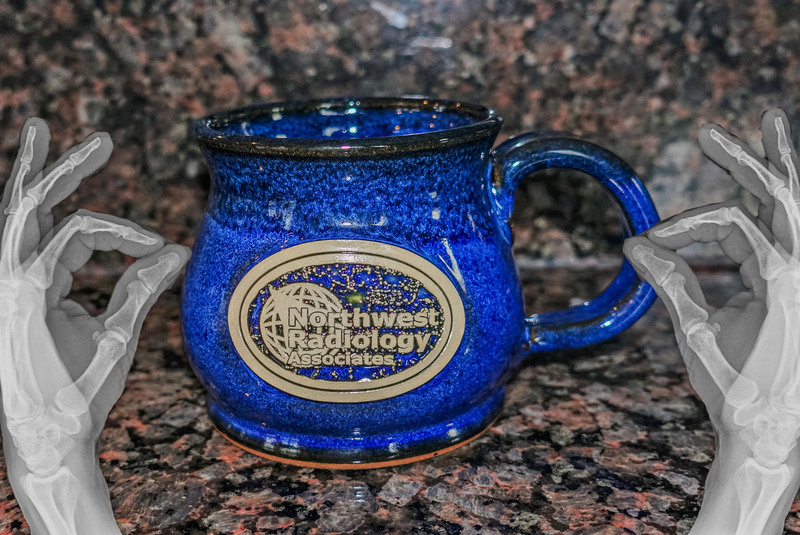 Nevertheless, it's an easy mug to carry with you around the house or office on a fine morning and keeps your drinks warm while the handle stays cool enough to hold without burning yourself, even after it's been in the microwave. Among our taller and slimmer mug styles, the Renaissance Voyager curves gently downward and ends in a slightly flared base for an elegant, refined vehicle for your morning latte. For those of us with bigger hands, the outward-sloping handle of the Renaissance Voyager is the answer to all those mugs you've had over the years that were too small to hold with more than a finger or two. This mug allows just about anyone to drink one handed if they desire, making it a fitting companion for a morning stroll or while out gazing at the stars on a clear night. The curve of the Renaissance Voyager makes it a more feminine mug, but it can be fitted with just about any art style to suit your brand. It's also available as an order of 12 mugs in our online store. Able to hold just enough coffee to kick you into gear first thing in the morning, the Fresh Awakening is a 14-oz. beauty with an hourglass shape and a long, sloping handle. A Rolls Royce among our mugs, it serves as an elegant vehicle for your first few sips each morning. Similar to the gentle curves of the Renaissance Voyager, Fresh Awakening is an optimal choice for big hands and those who want to drink one-handed. Its long, vertical shape is an excellent vehicle for oval or circular artwork, so keep it in mind if ever you find yourself in need of something with both artistic and utilitarian purposes. With poise and simple sophistication, the Greek Goddess is a popular option for when you're looking for something that's just a little bit different but still offers limitless opportunities for your artwork or logo. This 12-oz. mug features straight lines on the body, only to curve artfully outward near the lip for a timeless shape. The Greek Goddess is an ideal mug for just about any type of artwork, whether your logo is square, round, diamond or any organic shape in between because it isn't too tall or too short. While we can adapt your artwork for just about any of our mugs, the Greek Goddess is a poised canvas that can make just about any logo shine. A simple but stately shape, the Morning Rambler is androgynous and full of endless possibilities. Neither too manly nor too feminine, this classic mug is perfect for the activity after which it is named: Taking a morning stroll through the neighborhood or garden with a hot, fresh cup of brew. With its broad surface, the Morning Rambler is a classic face for your logo, especially if yours is a wider design. One of our most popular styles, it's also available in three different colors as part of our SwirlWare line. 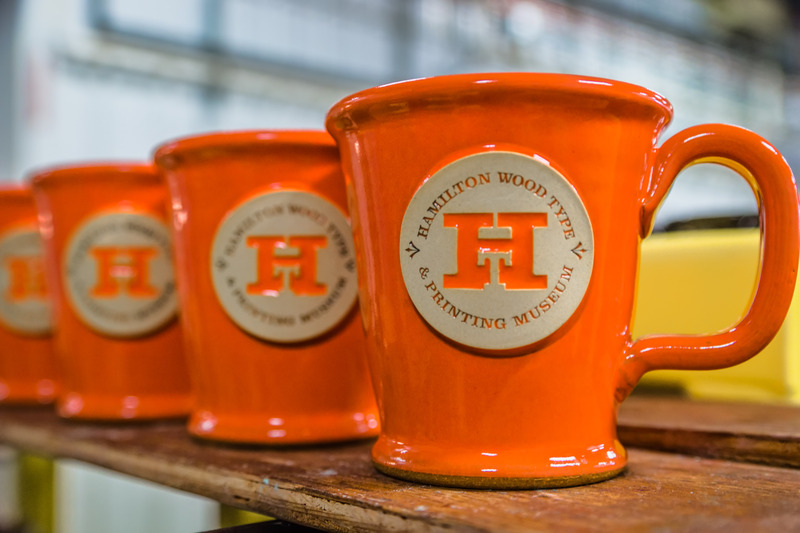 No matter which mug style you choose, all of them are handcrafted with pride. You'll be able to feel the weight and quality for yourself in your hands, and so will anyone else you give them to as gifts, fundraising tools or more.